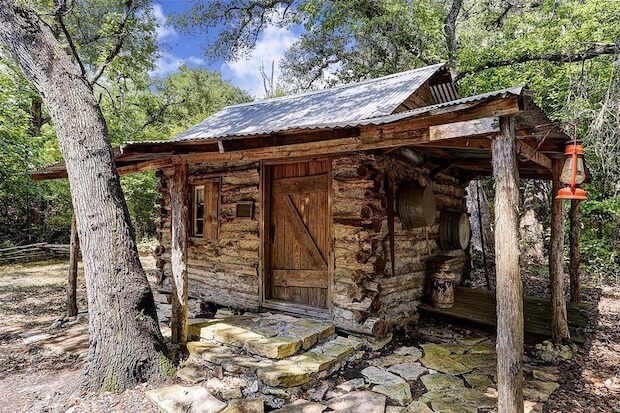 This recently built log cabin in La Grange, Texas is the perfect nature getaway! 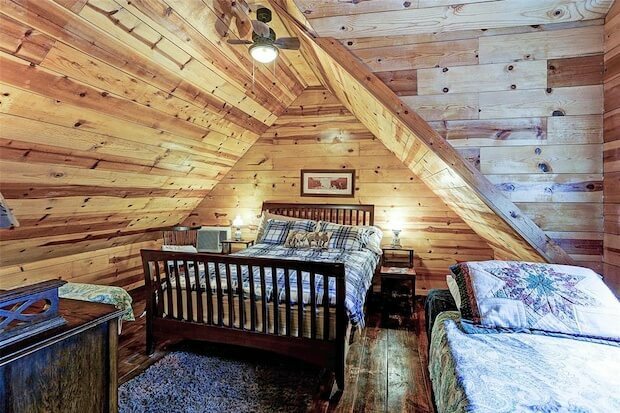 The house is set in a small clearing surrounded by lush trees, giving you privacy and seclusion. 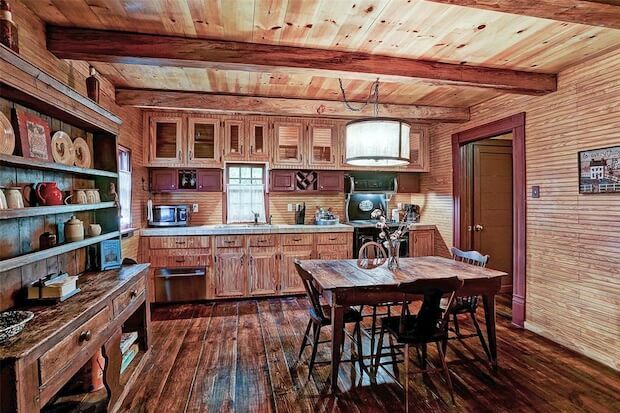 Admire the rustic style design of the house, with beautiful woodwork and details both inside and out. 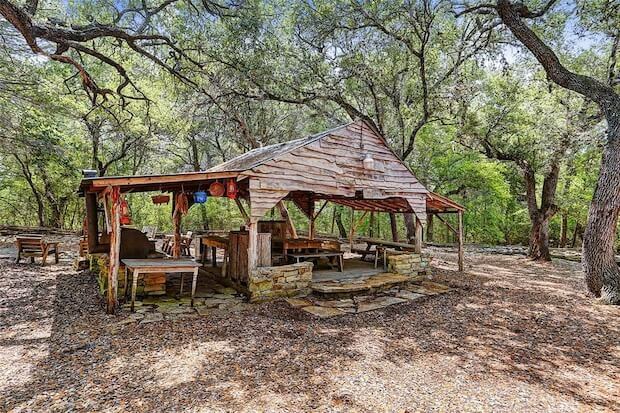 The property has a party pavilion for social gatherings and special events. There’s an artificial brook that flows into a small pond complete with a bench on the side, an ideal place where you can immerse yourself in the sights and sounds of nature. Not only that, but there are walking trails where you can explore the woods. 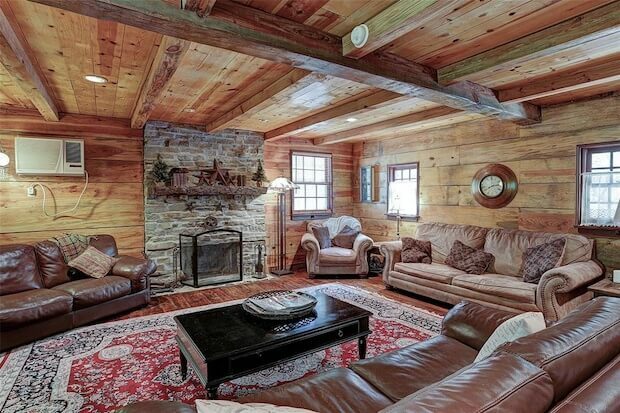 The log cabin is 1,414 square feet, and it sits on a 4.7-acre lot. 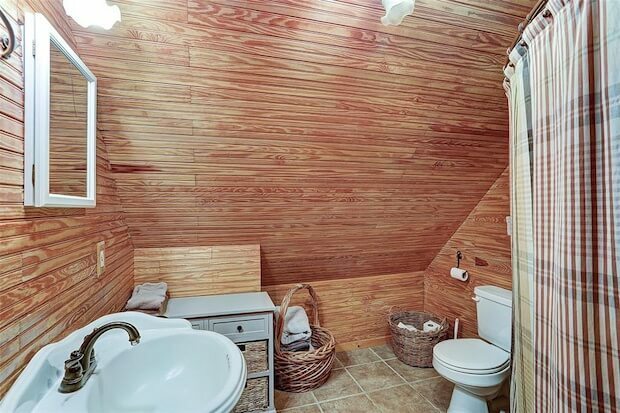 This beautiful home is selling for $429,000. 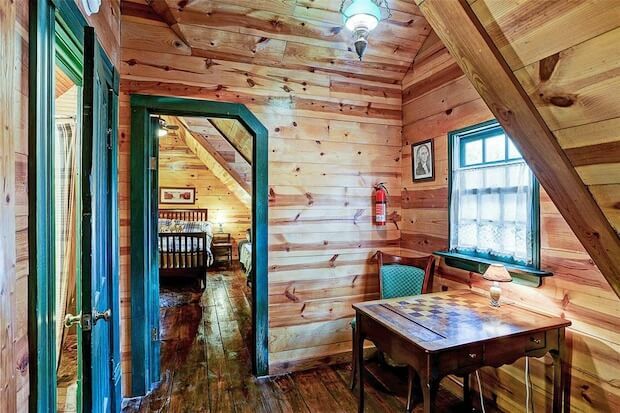 The home has 2 bedrooms, 1.5 baths home, and a wood burning fireplace. 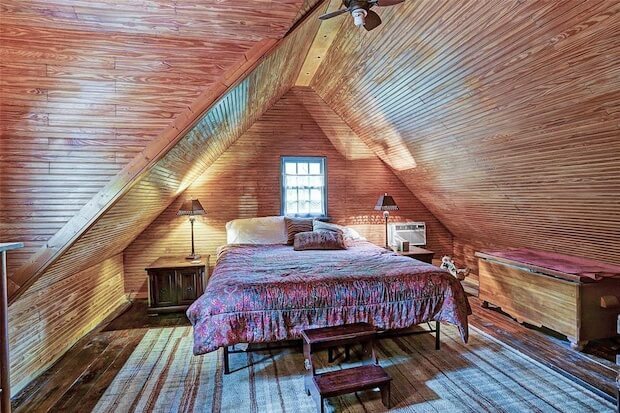 Currently, the home is used as an income producing BnB with full kitchen, refrigerator, washer/dryer, and all furnishing included. 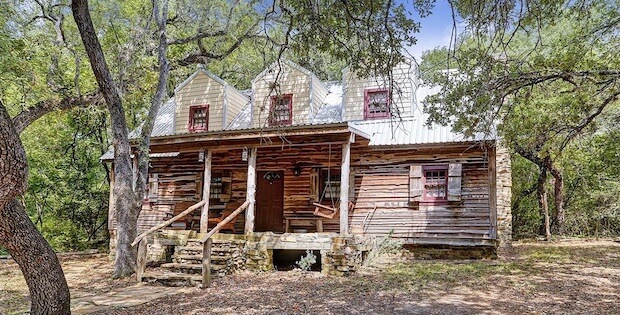 In addition to the 1 1/2 -story home is an authentic one-room 100-year-old-plus 12×14 log cabin, a 4×4 outhouse, 7×8 storage cabin, and an open-air 34×16 party pavilion for family gatherings, parties, and special events.